Happy June asphalt enthusiasts! Summer is knocking at our doors and we are ever-so-anxious to let it in. And though the summer brings longer days, bonfires and golden skin, it also brings dull pavement and cracked driveways. Sure, all we ever talk about is asphalt and how to maintain it. But what can we say, we’re all about doing what we can to ensure you’re getting the most bang for your buck. This month, let’s talk about seal coats and how they work. 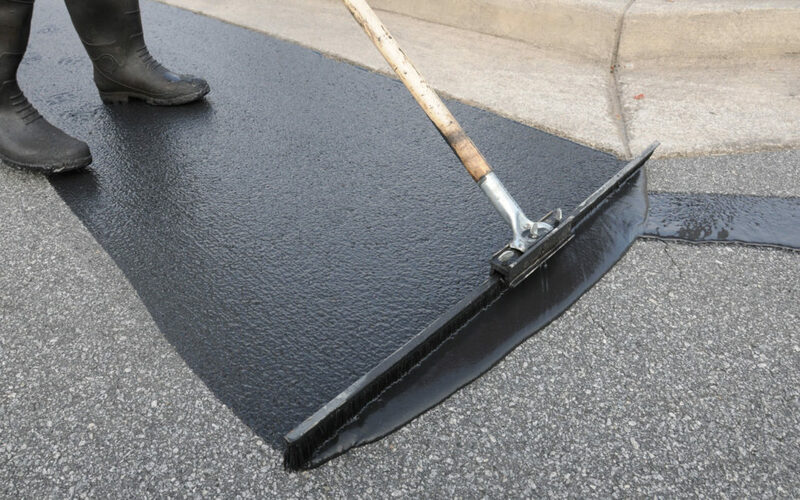 An asphalt seal coat is a safe and smart choice for protecting your pavement. It is sustainable, nonflammable and it keeps things looking fresh. Seal coats are meant to keep your pavement protected and beautiful. Such protection gives a shiny appearance to any piece of pavement and looks as if a new coat of paint has been applied. There are several different types of seal coats available at any standard paving company – asphalt emulsion, coal tar emulsion, bulk asphalt emulsion and mixed emulsions. Asphalt emulsions are typically dark black-brownish cementitious material, both solid or semi-solid in consistency. Coal tar emulsions are also black-brownish and are a byproduct of carbonization of coal or the gasification of coal. Bulk emulsions are a condensed mixture stabilized with polymer and petroleum resins. Lastly, mixed emulsions are usually up to twenty-five percent water and about 5 pounds of sand per gallon of emulsion. Seal coats are best utilized for off-highway jobs. Area with low traffic speeds like schools, housing developments and parking lots are where their intent is maximized. Seal coats are meant to isolate the top layer of asphalt pavement. Such isolation prevents harmful oxidation and erosion. Seal coats keep the small cracks to a minimum, therefore preventing water from entering the base material. Once the base material is tampered with, seal coats become ineffective. We hope this information puts a little pep in your step this summer. Stay ahead of the weather and coat your parking lot before your blacktop goes green.